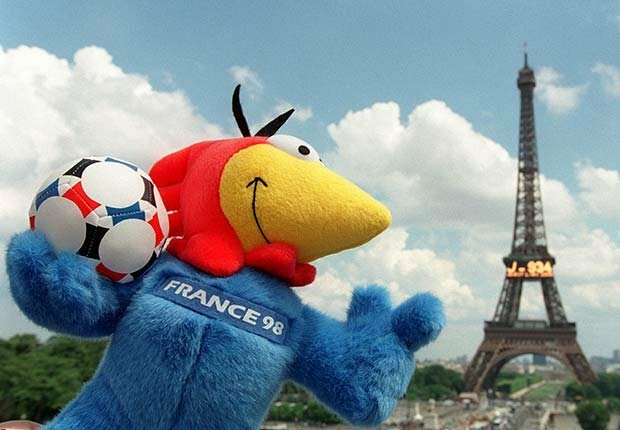 Do You Know Your World Cup Soccer Mascots? 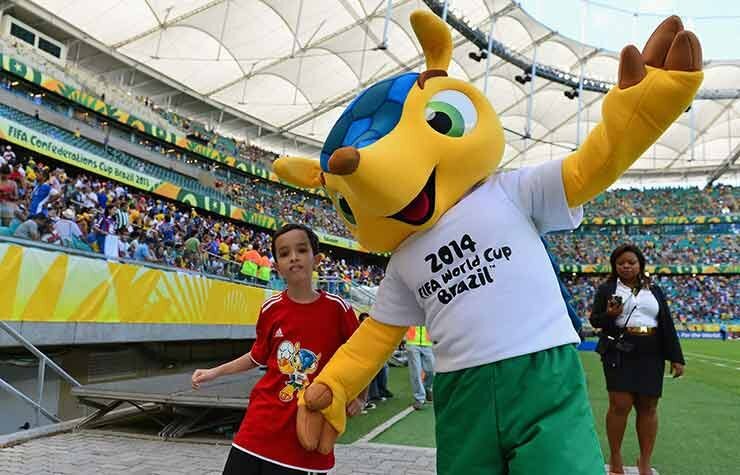 En español | Fuleco is a three-banded armadillo, an indigenous species that’s threatened by its shrinking habitat in arid northeast Brazil. To protect themselves from predators, armadillos roll up into a ball, an ideal soccer symbol. 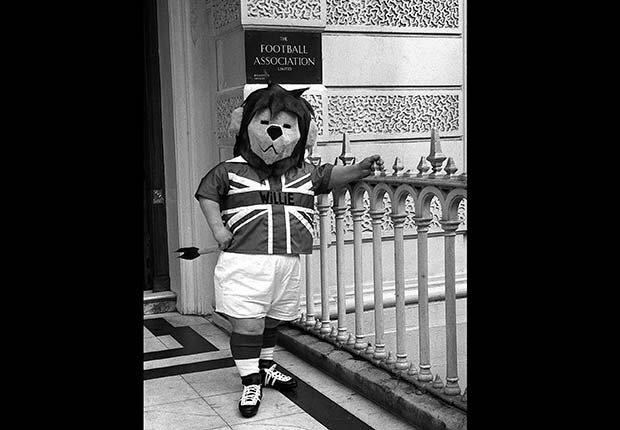 The first-ever World Cup mascot was also an animal, a lion clad in a Union Jack shirt. British freelance artist Reg Hoye designed the creature’s face to resemble his son, then 12 years old. 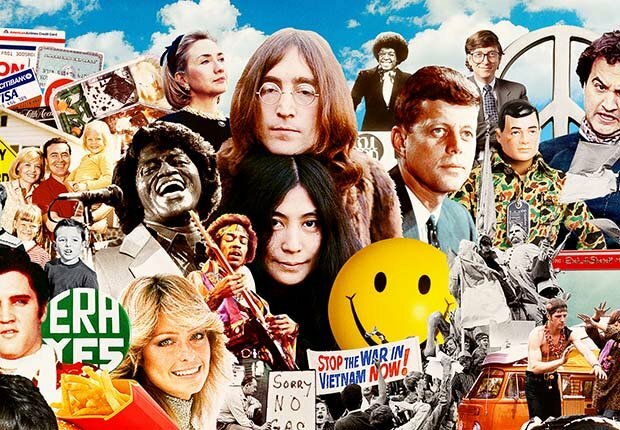 Willie’s likeness graced a variety of merchandise, ranging from tea towels to bedspreads. 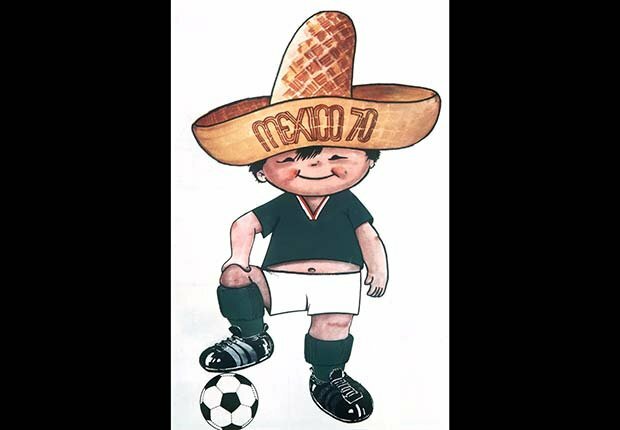 The World Cup’s first human mascot was a chubby-cheeked boy wearing a big sombrero and a Mexican national team jersey that didn’t fully cover his belly. His name (“little Juan” in English), projects childlike innocence that suited that year’s unusually sportsmanlike tournament in which no red cards were issued. Not content with just cute, the organizers of the 1974 games held in West Germany opted for a political message. 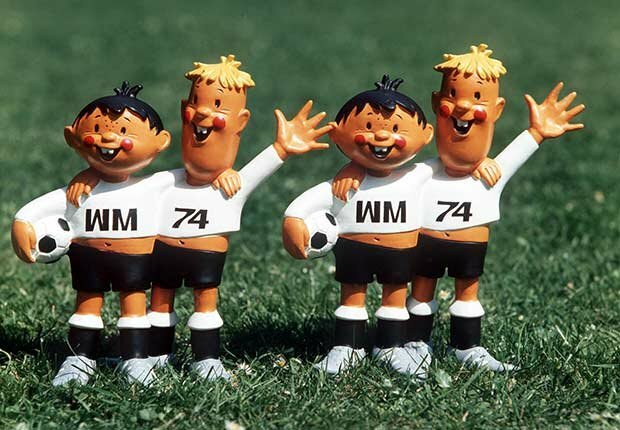 The pair of brothers — one blonde, one dark-haired — hugged each other in a none-too-subtle metaphor for German reunification. Tip bore a probably unintentional resemblance to another mascot, Mad magazine’s Alfred E. Neuman. 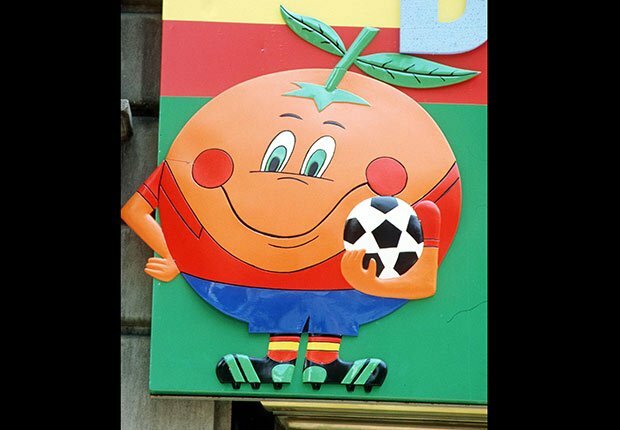 Spain’s choice of an inanimate object — an anthropomorphic orange in a soccer uniform — broke new ground for World Cup mascots and presaged the singing grapes and apples that soon began peddling Fruit of the Loom underwear. 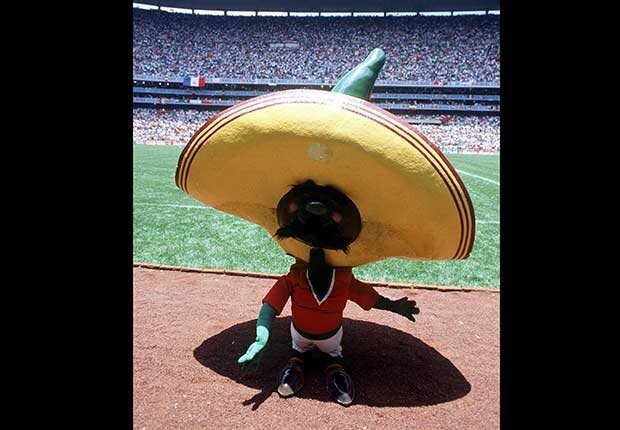 Not to be outdone by Spain, Mexico followed up with Pique, a jalapeño pepper who improbably sprouted arms, legs and a moustache, and wore a giant yellow sombrero. It was Mexico’s second time as host. In soccer, a striker is a position player often on the attack to score. By contrast, Striker was a cute, high-spirited white canine with floppy black ears. 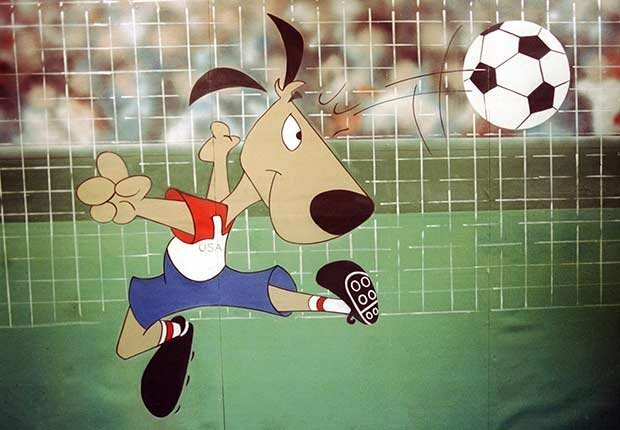 A 7-foot version of the World Cup pup put its paw print in the cement at the Hollywood Walk of Fame in October 1992. 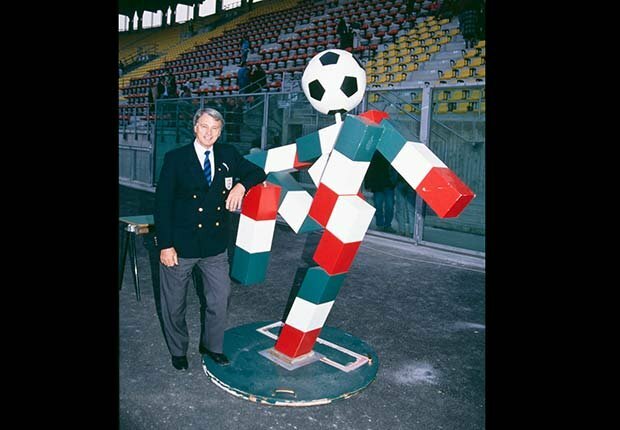 Ciao appeared to be made of Legos — which actually are Danish in origin — with a soccer ball for a head. 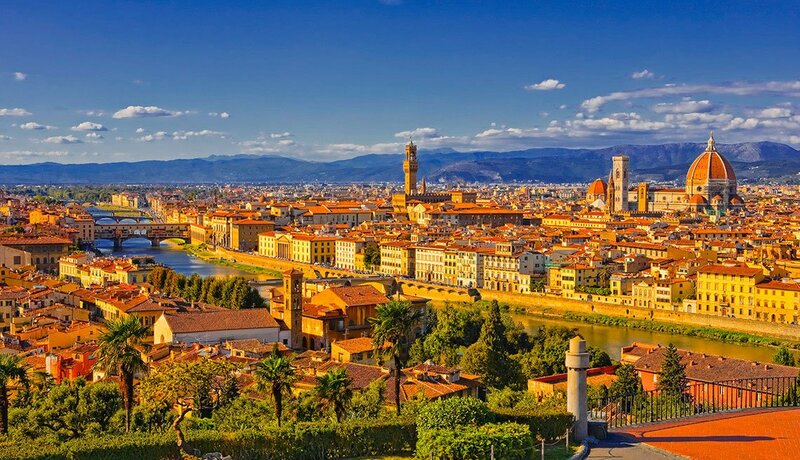 Though his name is an Italian greeting, Ciao wasn’t as personable as many mascots, perhaps because he had no eyes, ears, nose or mouth. Associating a rooster with agility might seem unusual, but a soccer-playing rooster was a natural choice for France. After all, the Coq Gaulois, or Gallic Rooster, decorated French flags during the French Revolution in the 1700s and for a time even replaced the fleur-de-lis as the national emblem. Ato, Kaz and Nik don’t resemble any particular living creature, instead they look as if they stepped out of a video game fantasy or a Saturday morning Japanese anime cartoon. 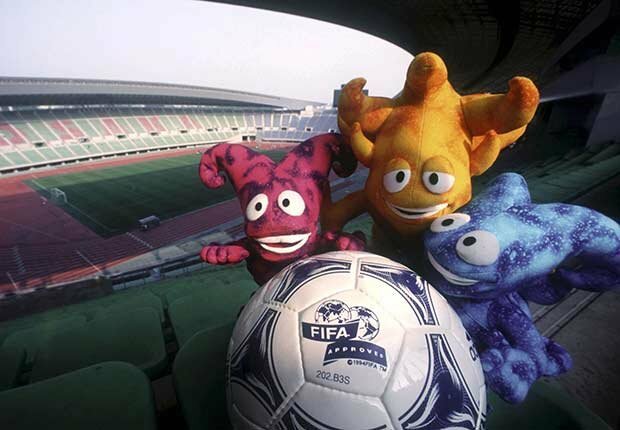 That made them perfect mascots for a pair of Asian countries in the vanguard of electronic entertainment.